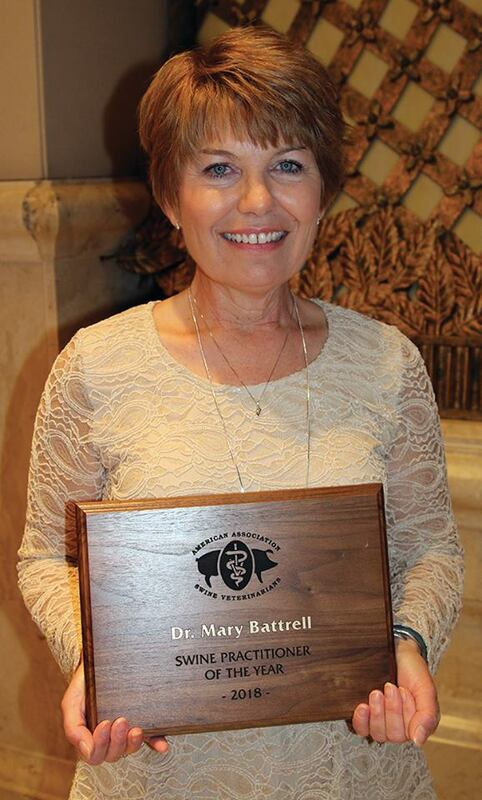 Smithfield's Dr. Mary Battrell has been named the 2018 Swine Practitioner of the Year by the American Association of Swine Veterinarians. Dr. Battrell received her veterinary medicine degree from Iowa State University and is a staff veterinarian for Smithfield's hog production division. "Swine practitioners do an excellent job of caring for their animals and providing a safe and wholesome product for the consumer," Dr. Battrell said in response to the award. "I am grateful for my Smithfield team, our care givers, and contract growers that work hard every day to put the pig's needs first." The American Association of Swine Veterinarians works to protect and promote the health and wellbeing of pigs, support veterinarians in their work, and advocate science-based approaches to veterinary, industry, and public health issues. To learn more about abouve the American Association of Swine Veterinarians, click here.